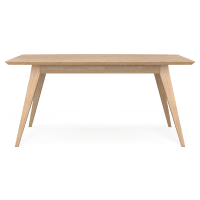 Our designers embrace the old and the new to bring you fresh wood table designs that will suit a room whether it’s Scandi or Industrial. 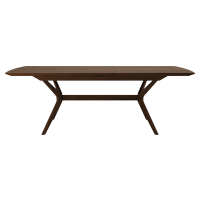 No grain of wood is the same, so why should all wood tables fit an identical template? 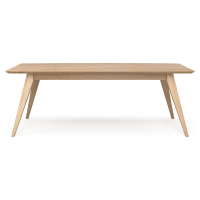 At Brosa, we have a range of wood dining tables in different shapes, colours, and finishes. Choose from natural oak, fir, ash, elm, walnut, or something entirely different. Looking to match your wood table to your Scandinavian-style room? Look out for slim legs, light woods, and curves edges. 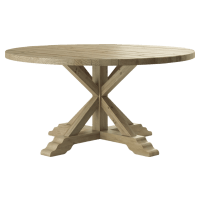 Or if you prefer something with a little more detail, find a darker wood table with carved legs to suit your French Provincial home. Our designers work hard to bring you original designs that are made to last. That is why we source only the highest quality timber for our dining tables. Of course, none of this means you’ll be paying a premium. We deliver your furniture to you direct from the designer to reduce costs, meaning you enjoy a quality designer table for less. 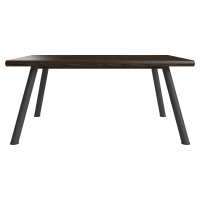 Browse our collection of wood dining tables online at Brosa today and invest in a superior dining table for your room.